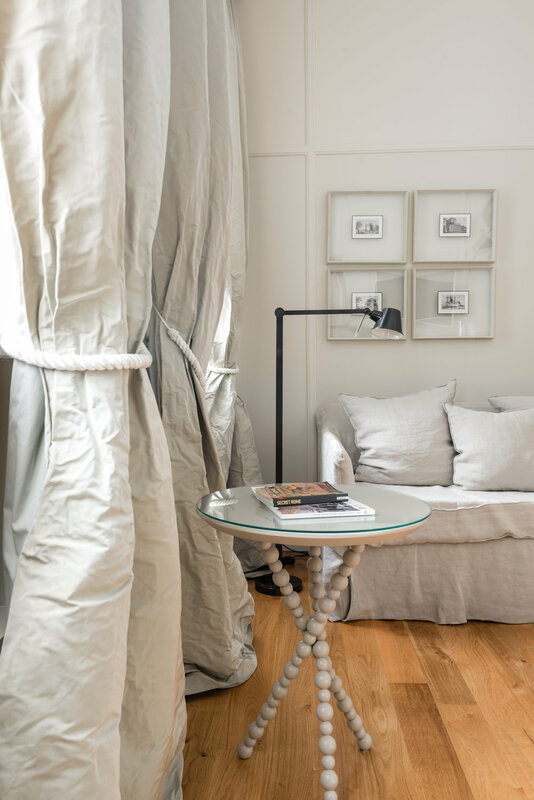 With its spectacular location, next to the Spanish Steps, Crossing Condotti puts the sights of Rome right on your doorstep, while giving you the elegance and feel of a typical Roman apartment. Rome. One of the most – if not the most – storied cities on earth. This small piece of earth (although the city itself is still today fairly big) looms large in the consciousness of the world thanks to – among other things – the legacy of the Roman Empire and the fact that it is home to the headquarters of the Catholic church. It is a city that does not need much of an introduction, and its landmarks are instantly recognizable to all. Thanks to all of this, it is of course a popular tourist destination and there are thousands of incredible hotels to choose from in and around the city. It can be easy to get swept away by the large luxury properties which line the most famous streets and occupy the most prestigious addresses. To do so however, is to risk losing some of the Roman experience. What you gain in the convenience of location, you might lose in the sumptuous yet international design and ambiance of big name hotel groups. With this in mind we looked a bit deeper for accommodation, and stumbled upon Crossing Condotti. It looked like exactly what we were searching for. Well appointed and exclusive, yet genuinely local and brimming with character. Crossing Condotti has only recently been converted into a hotel; having previously been a private residence. And it still looked like the home of a local (albeit a very well off one) and as the saying goes – when in Rome, do as the Romans do. Another plus was the location. Its' located right off on Via Condotti, which is one of Rome’s most famous streets and has been an important thoroughfare since the days of the Caesars. It has attracted everyone from Marconi (the inventor of the radio) to 19th century poets and composers like Byron, Keats, Wagner and Schopenhauer. Today it is home to designer stores like Dior and Gucci and best of all, many of the city’s best attractions are extremely nearby. 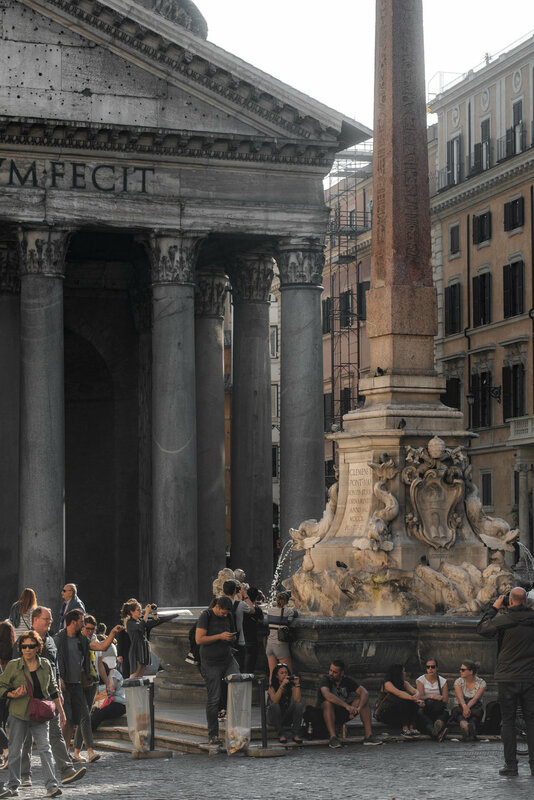 The Piazza di Spagna and the famous Spanish steps are just mere steps away, while the Trevi Fountain, the Tiber river, the Mausoleum of Augustus and the Villa Borghese gardens are all less than ten minutes walk. Everywhere in Rome is saturated with history and culture, but this place is overflowing with it. We were buzzed in from street level, and proceeded to walk up a small marble stairway with a wrought-iron banister. This led up to the lobby and lounge area which consisted of several rooms and a kitchenette. Each of these rooms were fairly small but together they gave more than enough space for guests to relax in. They were decorated in a semi-formal manner with period furniture and oil paintings on the walls. It felt uniquely Roman, and it was nice to know that these same furnishings were not sitting in sister hotels across the globe. For the first few nights we stayed in the Buibuino, one of the hotel’s Superior Rooms. It was decorated with soft shades, original wooden ceilings and parquet floors setting the tone for the furnishings. These consisted of a mixture of old and new. There were antique prints and paintings, as well as equally old pieces of furniture from the owner’s personal collection, but also modern metal lamps and contemporary style bedding. The attractive en-suite bathrooms offered the choice between a walk-in shower or a bathtub with over shower. Ours was a walk-in and the whole space felt decidedly modern. With the aim of getting a little more space, we moved on to one of the newer rooms for the end of our stay. This was full of natural light, and had a little kitchenette - as well as an iPad - for us to use during our stay. As you would expect from a small city hotel, the list of facilities is short. They do however, offer everything you need. You can use the kitchenette which comes with a Nespresso machine or help yourself to the snacks if you need something to nibble on. The rooms have large TVs, air conditioning and Wifi, and they can also arrange things like scooter hire, airport transfers and concierge services. Crossing Condotti focuses on doing things like comfort and decoration well, instead of having a long list of amenities. What it did absolutely perfect, was the service. We received the best recommendations for restaurants and places to go to get an aperitivo. It was so refreshing to have someone give us recommendations that were different than the usual tourist hotspots. It really felt like we got a unique experience, and that we were truly doing as the Romans do! 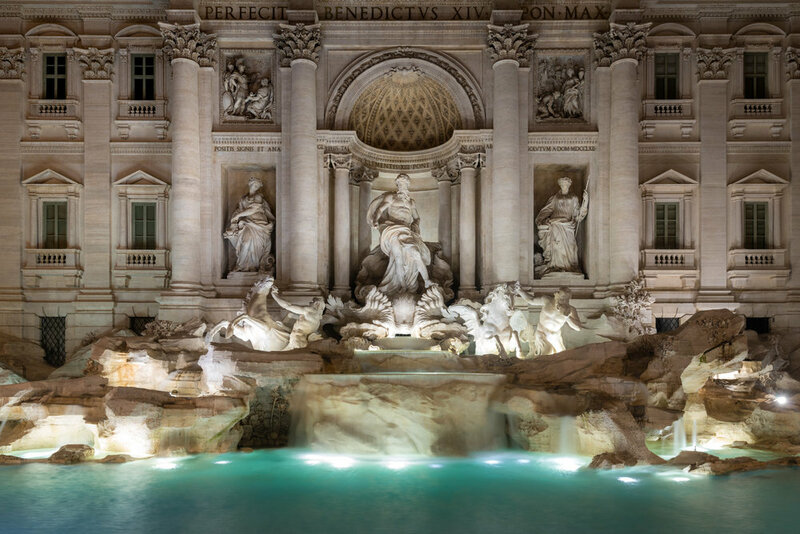 There are enough things to see in Rome to last you several months! Top of the list for most, will be the Vatican (with the Sistine Chapel), the Colosseum and the Forum. Beyond that there are galleries, museums, palaces and monuments. There are Roman ruins (the Pantheon is another great example), and huge manicured gardens like the Villa Borghese. It would be impossible to list everything here – instead visitors must make an executive decision as to what they really can’t miss. I often say this about places I have visited but in on this occasion I mean it more than usual. You have to take some time to walk around Rome and soak it all in. There are countless recognized attractions beyond those I have mentioned. There are so many that most are not even considered worth mentioning. Almost every building you walk past has some history and it could have been constructed at any point in the last 2000 years! Sometimes various eras are combined in one building with medieval housing built into the structure of Roman amphitheaters. After you have ticked off the must-sees, take a stroll, admire the architecture and discover a little known cafe or restaurant. The banks of the Tiber river make a particularly nice place to walk, as does the neighborhood of Trastevere, on the west bank of the river. Crossing Condotti is a great little hotel, and perfect for couples and families. It retains its authentic Roman feel, while also incorporating some elegant modern design features. Best of all though, is its location which puts you right in the heart of the city and its attractions. As there is just so much to see in Rome, make sure to take some time, to sit back and take in all of its charm.